We had a fun and typically busy week here, interrupted only slightly with Mother Nature’s continued attempts to turn the VA roads into icy madness! 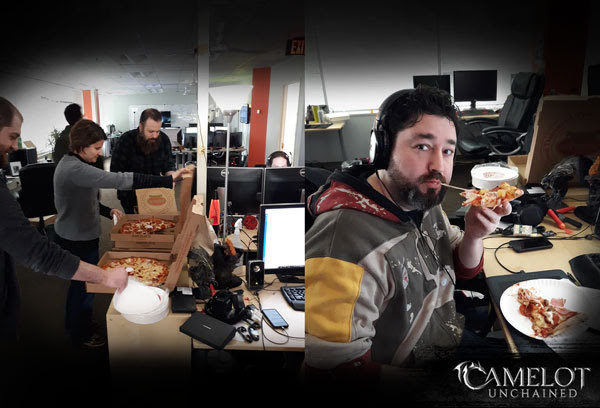 One of this week’s more exciting highlights was the results of further hardening and performance improvements to the improved ability system! During our test, we got up to 5000+ ARCs and players before hitting the inevitable server death spiral, the result of pushing things to the new–and very exciting–upper limits of what the engine can handle! 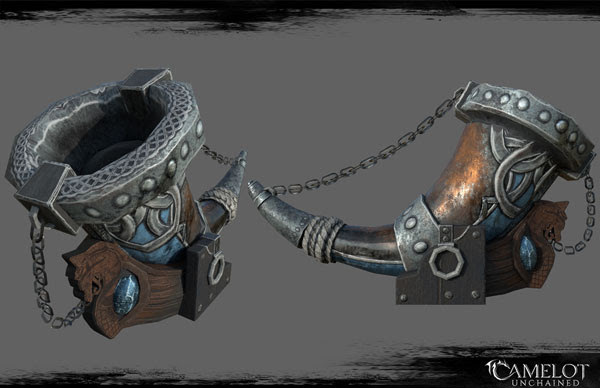 Very exciting stuff that really paves the way for our upcoming testing in the new scenario map we’ve begun working on. You can read about it, and see some early work from our Backers on the castle in it, in our February newsletter HERE. This weekend, we are planning on an “ARC AoE AInsanity” Test! If you haven’t seen how our engine performs in a massive battle, you should totally try and check out this test! Details below. Stay tuned for an additional email with additional information. We’ll CU there! Keep an eye on our tentative testing schedule next week for further testing. If you missed today’s livestream update and Q&A with Andrew, Ben, and myself, you can find that HERE. Christina fixed a plethora of issues, including the “bomb” not working, an issue with items not taking damage, and one where health bars were not updating properly. James completed work on ability icons for all the new abilities that can be made. 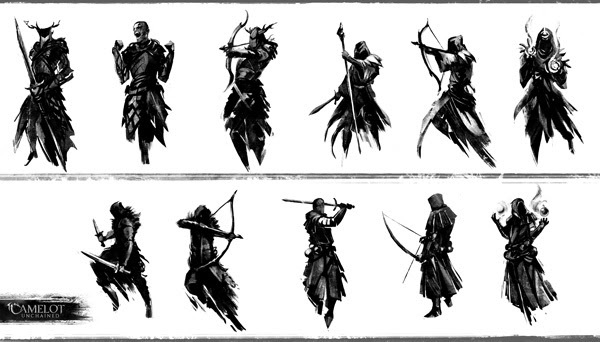 They should make it into the game shortly. Anthony worked on infusions and Focus ability components for mages (foci are optionally included “always-on” equipped “weapons,” and infusions are consumables). Emotes now work in the improved ability system. Wylie improved how multi-track abilities select a track to consume. The main gain from the multi-track work is that heavy fighters can opt for an ability to use either left or right hand, and the logic will check that the weapon in that hand is valid before using it. WIP – Tech – Server Performance: Rob spent some time to address server performance. We were able to get 5000+ ARCs, players, and bots on the battlefield at the same time during our test before it went into a death spiral. That is an increase of 2000 in just a month. The overall performance of each of our systems is very important to support our end goal of epic siege battles! Matt fixed an issue that was causing stalls in offline building mode. We would like to thank the Builders Brigade for their assistance in creating assets for the game. Brian set up some telemetry and ran some testing so we can address some performance issues. WIP – Design: Ben is working on finalizing the design for several items. The campaign system design has been updated and it is ready for tasking. Campaigns are large-scale events that enhance intra-Realm cooperation in RvR. The design for the contracts system was updated. This system allows players and NPCs to offer contracts. Contracts can award players Reputation, Accolades, and currency. WIP – Tech – UI: AJ has finished updating the first pass of the new crafting UI, and we should be able to add this to the game for further testing and fixes soon. He also updated some of the behind-the-scenes tech within the UI framework to improve our runtime performance. WIP – Tech – BPOs: Colin finished the first pass of the physics network state refactor, which will allow us to network BPOs. This will make it so building-placed objects will be positioned relative to a building, rather than just having a position and rotation in the world. We will network their physics info differently than other entities, so that when a chunk of a building becomes rubble, any objects attached to it will move with it in the world! Tech – Characters 2.0 LODs: Dave completed the supporting code this week that allows the artists to begin importing and testing their LODs vs. using our old procedural system. This will give the artists greater control over the quality and performance of the character LODs. WIP-VFX-Mages: Mike continues making new VFX for the initial starting abilities so we can test mages. 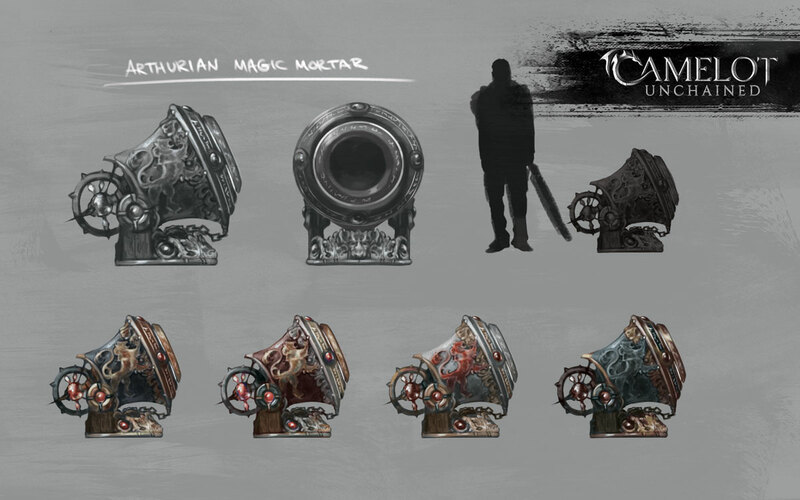 Much of this work has been focused on improved visuals for better-looking fire and water for the Flame Warden and Wave Weaver. He’s also said some fun things like “I’m trying to make a space crack for the Druid.” I think he’s referring to the Chaos Rift. 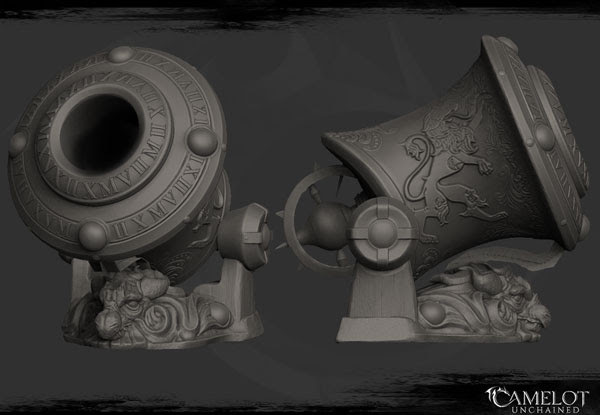 Art-Magic Mortars: Jon and Dionne finished the magic mortars this week. These should be coming to a siege near you soon! 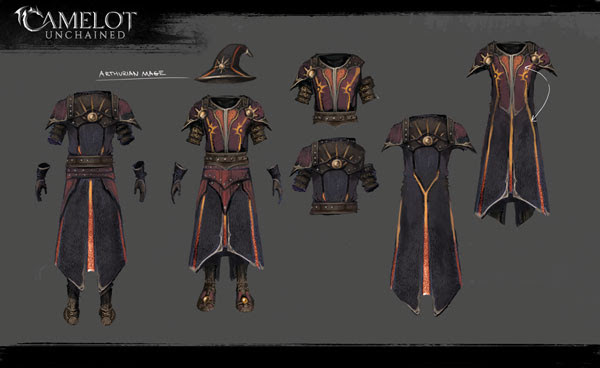 WIP – Light Armor for Mage Testing: We completed additional concept art for further light armor ideas to differentiate the mages from the other classes. This will help differentiate them during our initial testing. We’ve also begun looking at making new gear (not just texture swaps of existing art) for mages, if time allows. 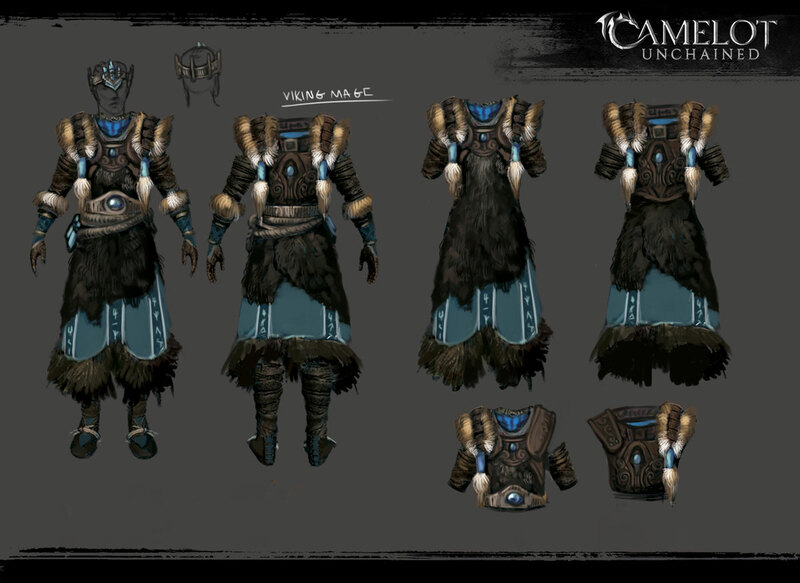 Status: We’re working on removing the last technical bugs that are causing visual issues on the characters. 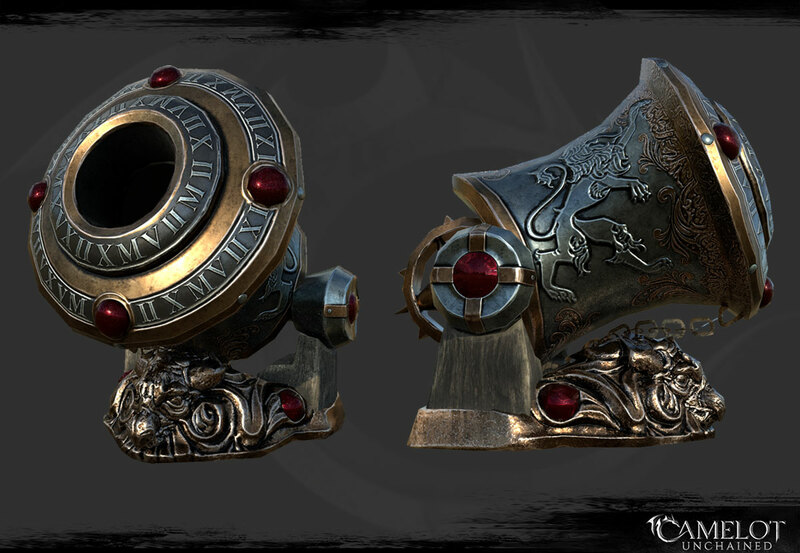 With all the new versions of the assets now in place and art bugs coming to a close, we’re moving into the last phase of this process with the artist-created LODs. Tyler has begun importing some test assets for initial performance testing. Once the last visual bugs are squashed, we’ll merge in the ability system branch with the Characters 2.0 work, and finish importing the LOD work. Texture cleanup: Tyler went through many of the materials and fixed a lot of small seams we were seeing on various characters based on camera distance. Weighting Polish: Tyler, Dionne, and Joe coordinated updating about half of the assets so far with improved weighting polish. This reduces things like stretched textures in concave areas of the characters. The next step here may be some code-side work to reduce seams between parts of characters when mixing equipment. This has previously been a large time sink for artists. Animation Polish: Scott and Sandra completed a lot of cleanup this week on the archer classes, as well as on the Empath, Fianna, torch, and travel animations for Human and Luchorpán. 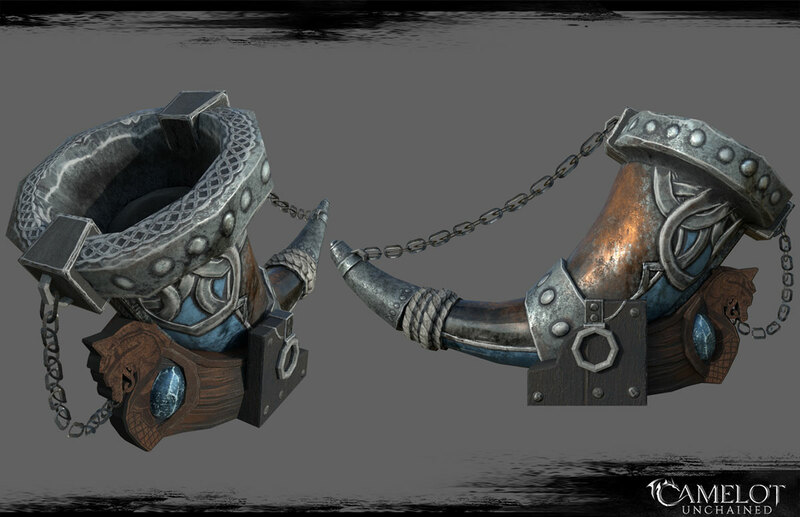 For art this week, we start off with high poly sculpts and renders, with materials, of the Arthurian and Viking magic mortar models. Personally, I can’t wait to use these in-game. 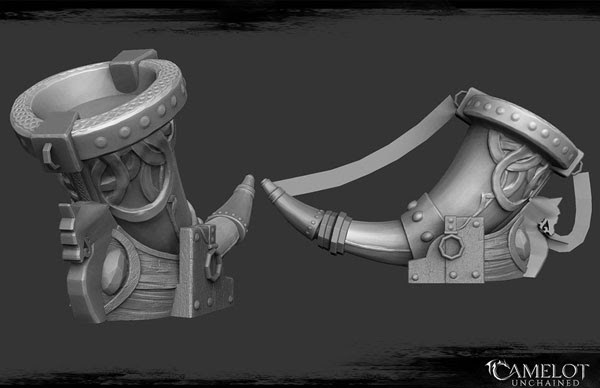 It’s also really fun to see these go from concepts to models. 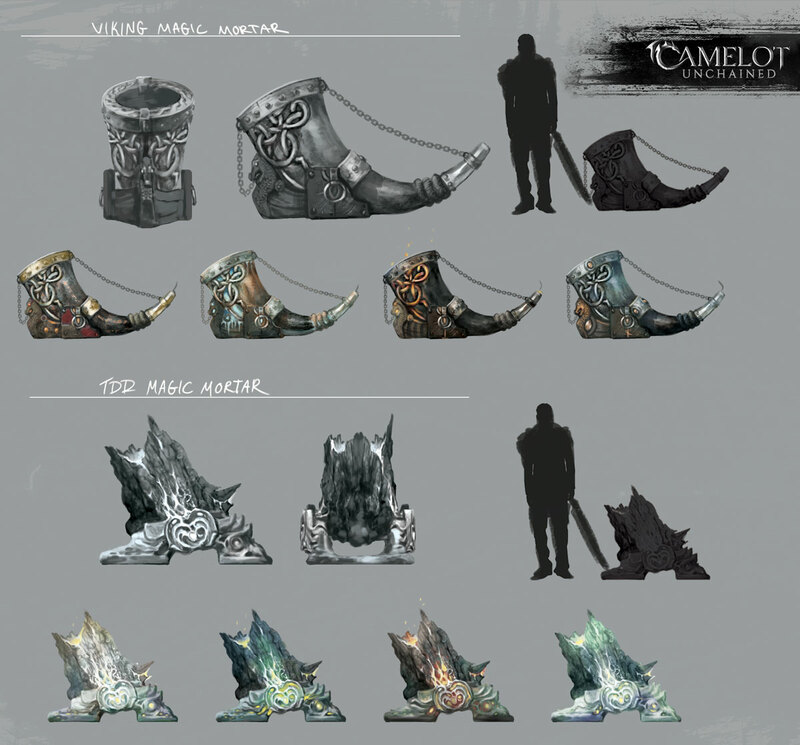 You can see the concept art HERE and HERE. Next, we have these really awesome pieces from Michelle representing each of the classes as elements in the new ability builder UI. 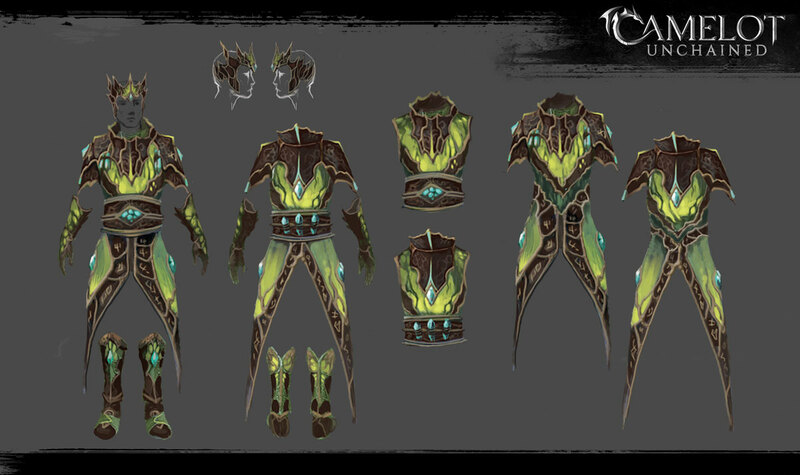 Lastly, we have continued work on the possible light armor re-skins for mage testing – with a bit more polish and new headgear. Honestly, even though we painted these as re-skins of existing geometry, time allowing, I’d love to make some of these. 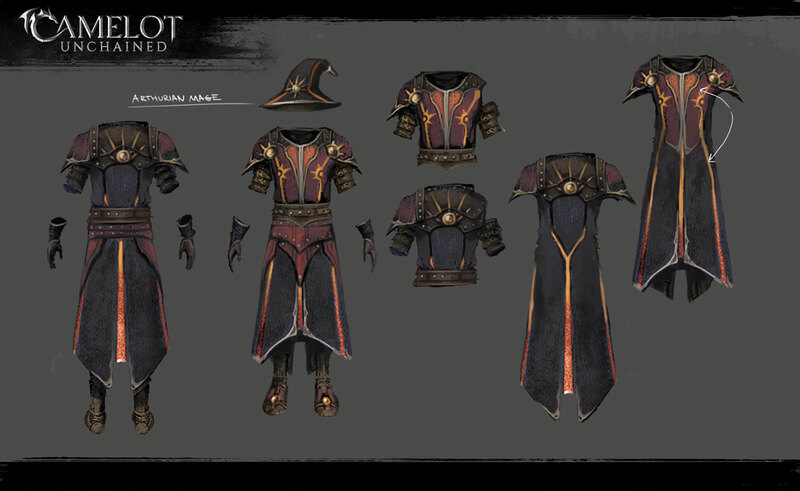 I totally want the Arthurian robe and shoulders in the middle image! A big thanks from all of us in both offices goes out to our Rich Creepy Uncle, who sent us pizza to end the week on a fantastic note! Thank you so much! And yes, we totally staged the cheese stretch in that image with me. That’s what we decided to call that, a “cheese stretch.” Anywho, that’s it for this week’s update. 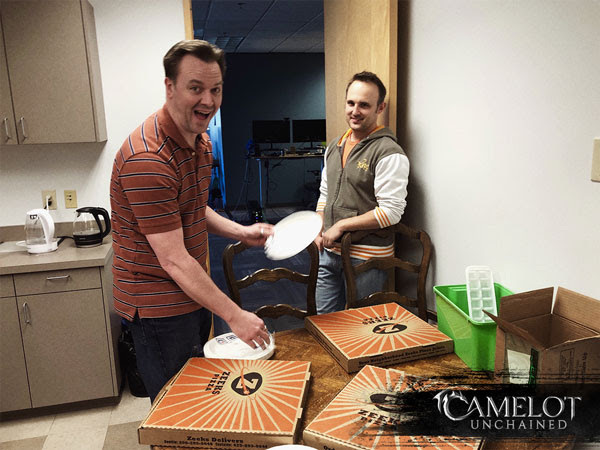 Lots of exciting things going on, with some damn good results as we continue working on Camelot Unchained. And this isn’t even mentioning the next round of features we’re planning out right now!